Vitalia Health Care > Blog > detox > Kickstart the New Year with Great Ways to Boost Your Energy! work and our overall routine. The most common health complaint doctors hear from their patients is low energy! 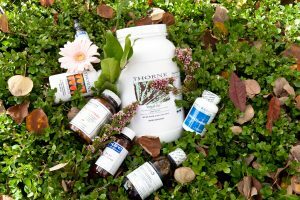 There are 3 supplements that are my favourite energy boosters and can easily be incorporated into a daily supplement regime. The first is Coenzyme Q10. This is a nutrient that is important in the final step needed for our cells to produce energy. It is found in the highest concentrations in the heart, liver, kidney and pancreas. It increases energy production and metabolism throughout our body. Most people report increased energy when they take CoQ10. The second supplement is NADH. This stands for nicotinamide adenine dinucleotide hydride. This is a naturally occurring nutrient in our body and is another important step in energy production inside our cells. Most of my patients report a general feeling of wellbeing and improved energy when they take CoQ10 and NADH. Both nutrients also improve energy production inside the liver, therefore helping with detoxification. The last supplement is L Carnitine. This nutrient increases energy production by assisting the transport of fatty acids into the cells where energy is produced. Taking L Carnitine regularly can assist with weight loss, improve overall energy and promote a healthy heart. Please do consult with your Medical Doctor or Naturopathic Doctor before taking any of these supplements. Natural supplements can have interactions with certain medications or be contraindicated with certain health conditions. For a quick boost in energy, try the MIC plus B Complex injection. This intramuscular injection contains Methionine, Inositol, Choline, B12, Chromium and B vitamins for rapid absorption and a boost in energy. Call us today to find out more about this injection. Wishing you and your family all the best for the new year. Thank you for allowing us to be a part of your new year health goals!